What is God’s relation to space and time? Is there a way of reconciling theology and physics? Time is much more mysterious than space. We can move around or stand still at will, but no one can travel in time or arrest its inexorable flow. Or so it seems to us. 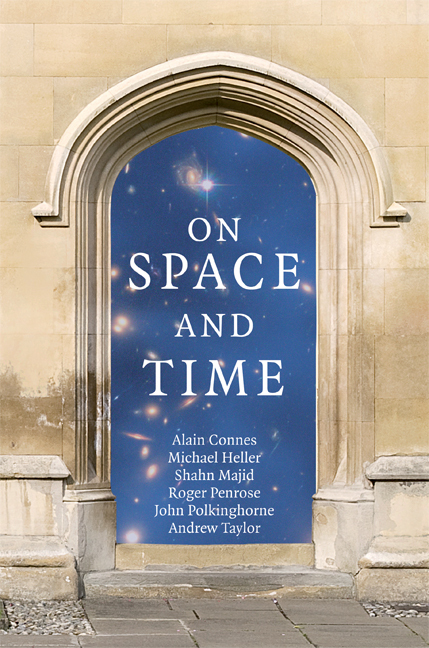 Yet there are people who believe that the passage of time is no more than a trick of human psychological perspective and the real nature of temporality is what is called ‘the block universe’, the spacetime continuum as a whole, considered ‘all at once’. They appeal to the fact that relativity theory tells us that different observers make different judgments of the simultaneity of distance events. If that is so, does it not mean that the apparent difference between past, present, and future is in reality illusory? The different assessments of simultaneity simply correspond to the way in which different observers organize their description of what is unambiguously past, since they cannot know of a distant event until they have received a signal of it and it then lies in their backward “light-cone.” Thus the appeal to relativity does nothing to establish the already existing reality of the future. Other considerations, such as the intrinsic unpredictability that physics has shown to be a feature of quantum or chaotic events, or the human experience that we can recall the past but not know the future, add support to the rival concept that we live in a universe of true “becoming” in which the passage of time continuously carries the world into the future. Neither set of arguments is decisive. It turns out that the question of the nature of time, though influenced by physics, is not fully determined by it. The choice between the block universe or a world of becoming requires an act of metaphysical choice. It is interesting that theology faces a similar choice about how it should think of God’s relation to created time. Classical theology, of the kind expressed in the thought of Thomas Aquinas, saw God as wholly outside time, looking down, as it were, on creation, whose whole history is laid out before the a-temporal divine gaze ‘all at once’. In other words, what God sees is exactly the block universe. Since any theologian must believe that God knows things as they truly are, this would seem to give theological endorsement to the concept of the block universe. An alternative open theology takes the becoming-ness of creation with great seriousness. If that is so, divine perfect knowledge must surely imply that God knows creation in its becoming-ness. In other words, God not only knows that events are successive, but knows them in their succession. This implies that in addition to divine eternity, there must be a temporal aspect of the divine being. Such divine time/eternity dipolarity is felt by many to be consistent with the God of the Bible, who is repeatedly portrayed in interaction wtih the history of creatures.